When Bloodstained: Ritual of the Night hit Kickstarter, it immediately became one of the biggest video games ever funded on the platform. Its initial $500,000 goal was quickly eclipsed, and by the time the campaign ended more than five million dollars above that, Koji Igarashi pledged and promised a bevy of stretch goals for the game. One of those goals, located deep in the basement at the $4.5 million dollar mark, was for a Prequel mini-game for PC and consoles. $250,000 more than that promised the mini-game would make it to portables. 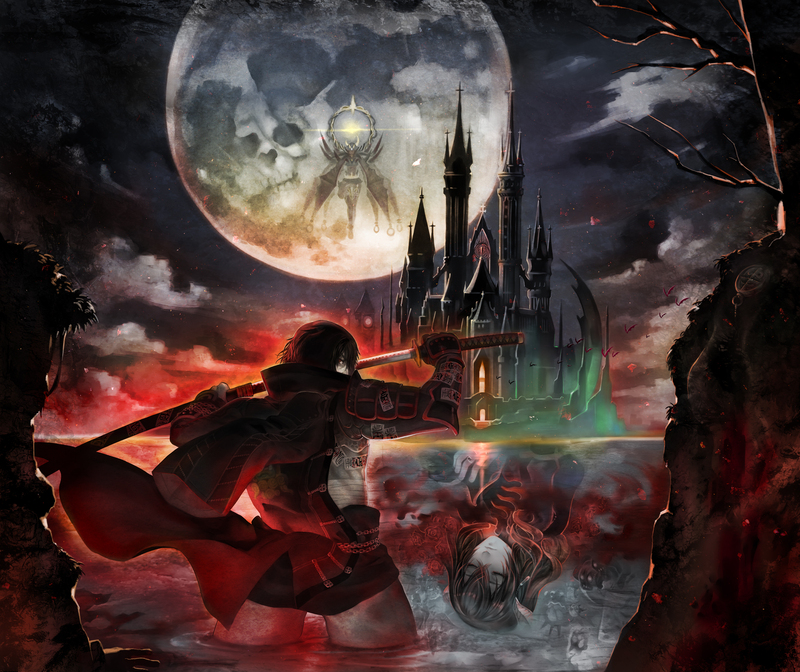 Consider this a promise made and promise kept, because at BitSummit, Inti Creates, one of the developers working on Bloodstained, revealed Bloodstained: Curse of the Moon. Featuring aesthetics ripped straight out of the NES era, Curse of the Moon stars Zangetsu, a sword-wielding demon killer. Depending on player choices, Zangetsu can be joined by up to three other playable characters who can be switched into action at any time: Miriam, the lead character from Ritual of the Night; Alfred, a weakling armed with powerful magic; and Gebel, who has the ability to turn into a bat. The game will feature multiple endings depending on who players choose to ally with and each level has areas accessible only by certain characters.